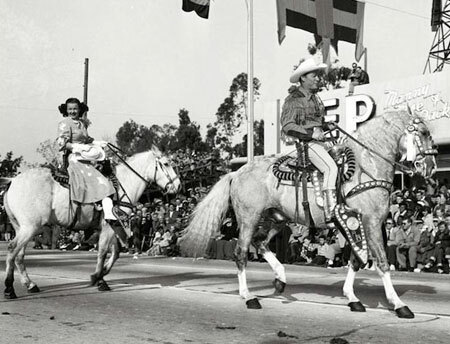 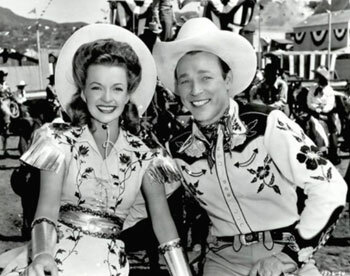 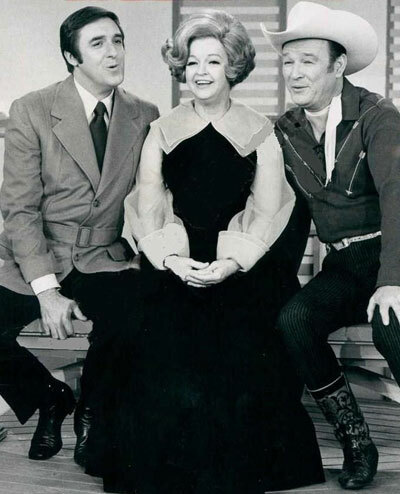 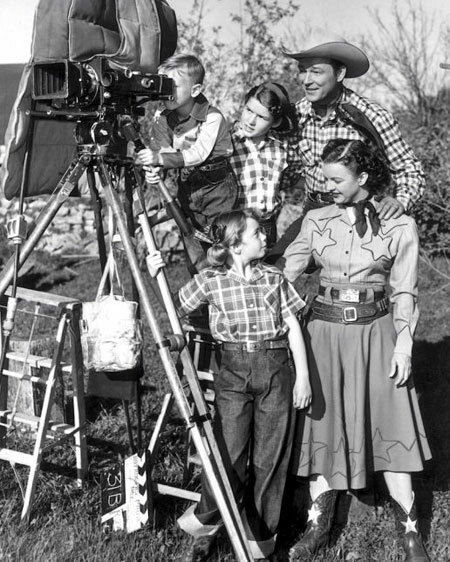 October 31, 2012, celebrates Dale Evans’ 100 Anniversary as one of America’s favorite cowgirls. 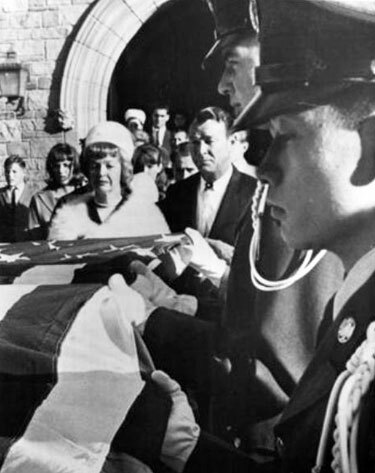 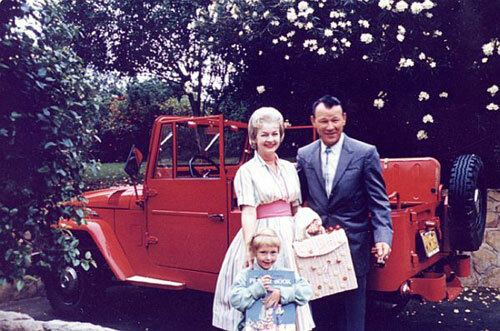 We’re happy to offer this photo tribute to Dale and her family. 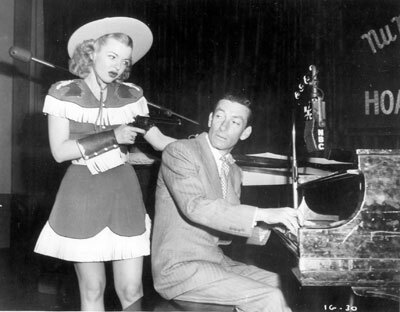 Dale as guest on Hoagy Carmichael’s NBC radio show in 1945. 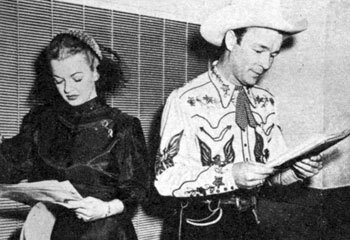 Dale and Roy check over the script before going on the air for Roy’s weekly radio show in August 1946. 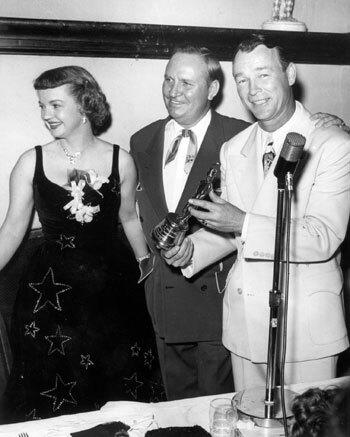 Dale, Gene Autry and Roy at a Masquers Club testimonial dinner for Roy and Dale on January 28, 1956. 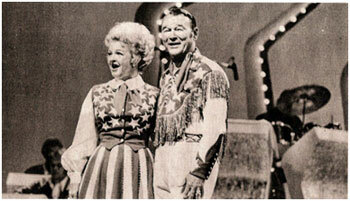 Gene was Harlequin for the Masquers. 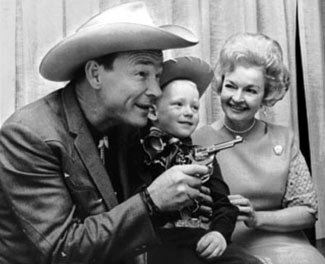 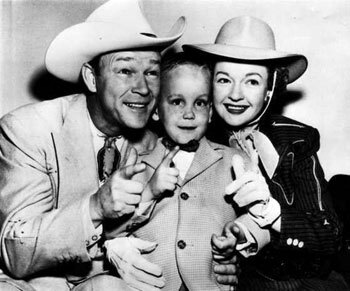 Dale with children Debbie and Dodie in the late ‘50s. 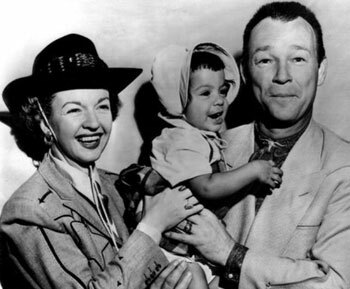 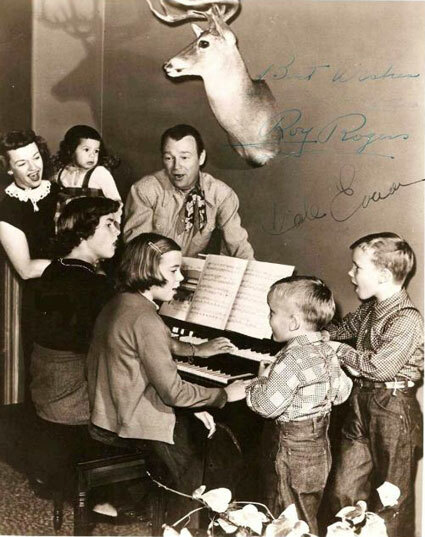 Dodie was adopted in ‘52, Debbie in ‘56. 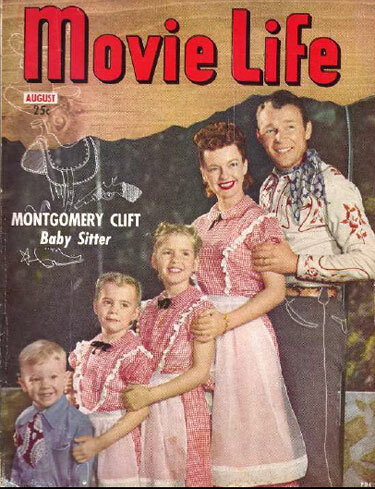 August 1949 cover of MOVIE LIFE. 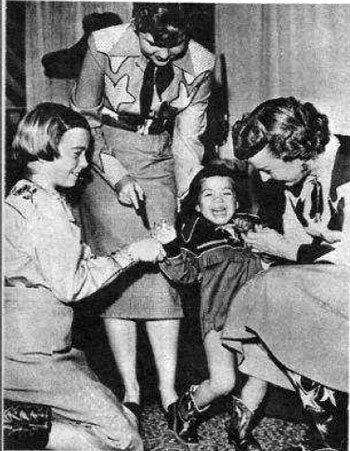 (l-r) Roy Jr. (Dusty) almost three, Linda, 6, and Cheryl, 9. 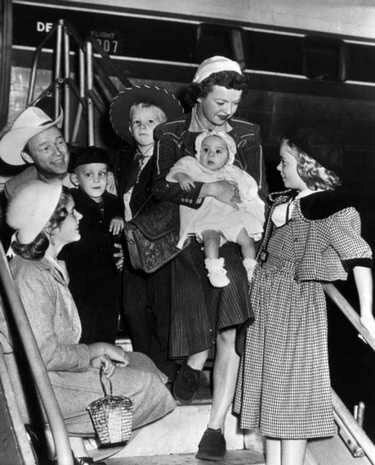 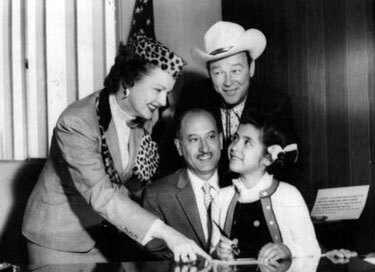 Dale and Roy arriving home by plane on October 28, 1952, having just adopted seven month old part-Choctaw Indian girl Mary Little Doe (Dodie) in Texas. 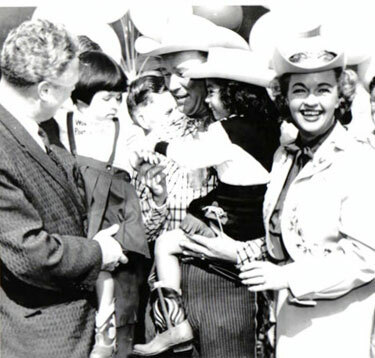 Standing in front of Roy is Sandy, 5. 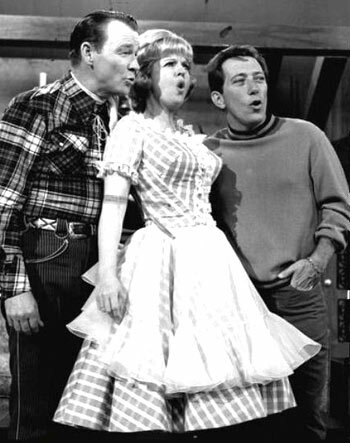 Alongside Sandy is Dusty, 6. 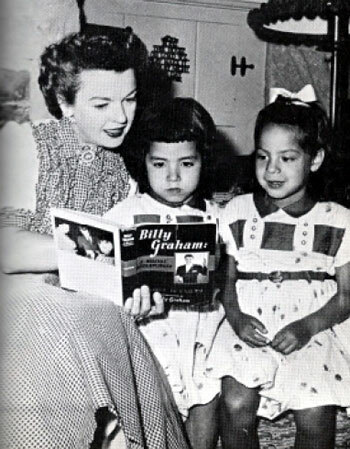 In front are Cheryl (left), 12, and Linda Lou, 9. 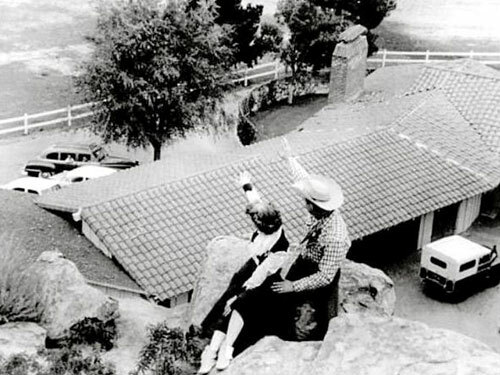 Dale and Roy with young friend Marill Morgan in front of their home in Chatsworth, CA, in 1963.